Web images. Everyone needs ‘em, but not everyone knows where to find them. If you’re not actually going out and creating your own photographs or digital images, you fall into the category of most small business websites, searching for good quality, but cheap images you use for your web pages, blog posts, advertisements and other marketing materials. This can be a challenge for many small businesses who either don’t have the resources to buy a subscription for good quality image platforms or spend the time researching the best platforms for their business needs. 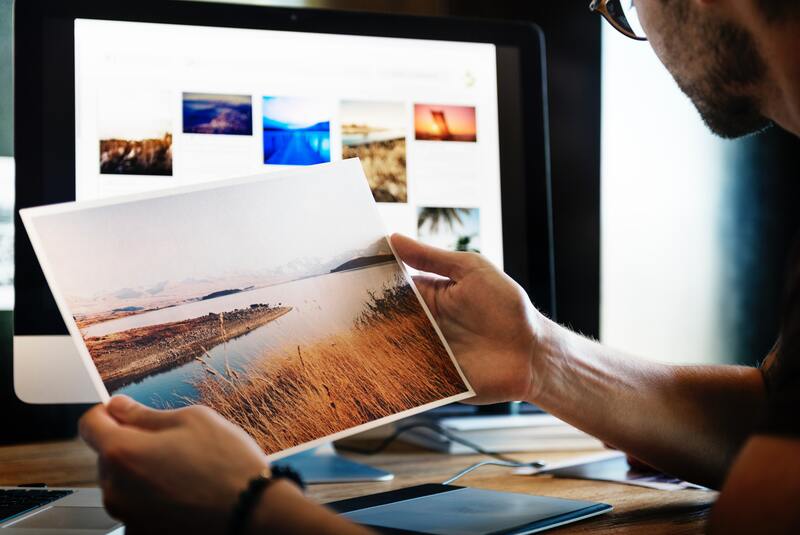 More often than not, it’s a stretch to find both public domain and free online image websites that small businesses can access. But, it’s not all bad! The following is a list of the best (and FREE) public domain images available for you to use. Simply go through it and find what option is best for you! Public domain images means that image, video, or media format is available for the public to use without providing the source name (where you got it from) for that media piece. Images that are not part of the public domain are copyrighted and are claimed as the personal property of someone. If you use a copyrighted images without permission that’s technically “stealing”. If an image doesn’t specifically say it’s part of the “public domain” that means you need to either list where you took the image from or contact the image creator and ask permission to use it. If you’re using web images from an online Google search, you can either list the original website where the image is from underneath it or add it in the URL section of the image to make it clickable. You want to make sure the web image sources you’re using are relevant and professional sources, especially if you create a backlink to the page for the image you’re using. You don’t want to always be using someone else’ images and sourcing other websites on your web pages and in your blogs. While it’s definitely a good option to use throughout the body for a blog article, you want your header images and main web page images to be yours. That leaves you with two main options: find free online image websites or buy a subscription to an image gallery/ platform. All small businesses need images for their website, blog articles, and marketing materials. You have a few options when it comes to obtaining usable, high quality images for your website, web pages, and marketing materials. There’re a mixture of paid and free resources available for you to use, but I’m only going to list some of the best FREE options below. Pexels is a great option for free, high resolution, and public domain images. There’s a wide range of subject matter that you can search through and these images are perfect blog articles! 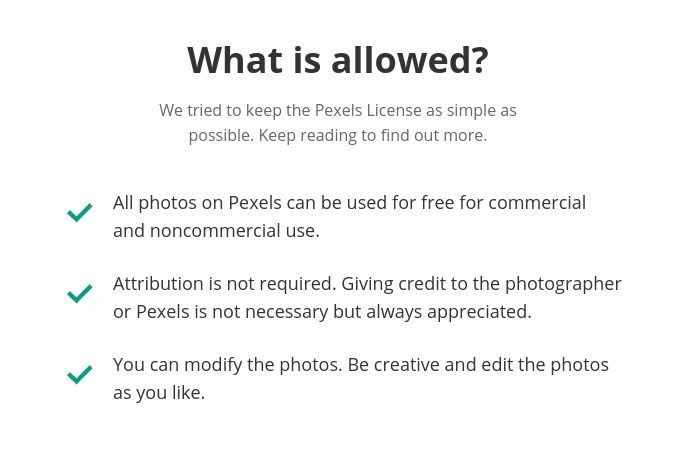 In the “license” tab on the Pexels website, it specifically lays out how you can and cannot use any images you download. Check that out just to make sure you’re following the rules! Pexels also offers free video clips you can download and use on your website as well! These videos are also part of the public domain, so you shouldn’t have much to worry about. You can download these free videos and images to include in your blog posts, social media posts, and web pages! It’s right there in the name afterall! All the images offered by Public Domain Pictures are free for you to use! Public Domain offers stock image type photos that you can search for through their lists of categories or in the search bar. You can download the image for free, but you also have the option to pay the original photographer if you’re feeling generous. These images have no copyright and are high resolution, so you can spend your energy creating the best web pages possible for your small business! Magdeleine offers beautiful, high resolution images you can download. However, some of the images on this platform are copyrighted and are not part of the public domain, so you need to pay attention to what images you plan to use. You are able to download any image for free from the site, but if the image you use is not part of the public domain, you must include appropriate attribution to the photographer of the image. Scroll over the image. If it says “CCO”, it’s part of the public domain and you’re free to use it! Pixabay is another great, free online image website source! This image platform seems similar to Pexels, or vise versa. I’m not sure which one was created first. Pixabay offers tons of images, videos, illustrations, graphics you can download for free! The images they offer are high quality and they list the photographer. So, if you’re partial to someone’s work, you can search specifically for it. Life of Pix offers beautiful, online images you can use for your website, blog articles, desktop background, or whatever you need them for! Simply enter your search term in the box provided and you can filter down your results by category, color, and image orientation too. This platform also gives you the ability to download videos for your website and other marketing purposes as well. High quality images and videos are an essential piece of a successful website. Free online image websites are an essential piece of the website optimization puzzle for small businesses. Searchers expect when they come to a website that it’ll be well designed and visually appealing, that’s the new norm you must meet to stay competitive in your industry. By using high quality and free, public domain image platforms, you can stay in the game and present the best resources possible to your web visitors and target audience.